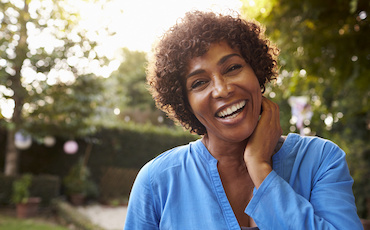 You deserve to enjoy a smile that’s at its very best, and cosmetic dentistry can make that goal come true here at Dental Center of Jacksonville. Dr. Jignesh Patel offers several services that can create gorgeous improvements and erase common dental flaws such as misaligned teeth, chips and cracks, discoloration, and much more. We’ll be happy to sit down with you for an initial consultation and help you determine the treatment plan that will best meet your personal needs and preferences – better yet, our available appointment times during after-work hours and weekends are great news for jam-packed schedules.Contact our Jacksonville, FL practice today to schedule your first visit! Our team can’t wait to meet you. Porcelain veneers are high-quality restorations that are designed to be thin enough to fit into place over the visible surfaces of a patient’s teeth, effectively hiding years of dental flaws all at once behind a new, flawless appearance that can be shown off proudly. Veneers are a great choice for patients who want to make significant cosmetic changes to their smile on an accelerated timeframe, as the process only takes a couple of appointments. Better yet, they’re durable and resistant against staining! While traditional veneers are an excellent cosmetic option, some patients shy away when they discover that a small amount of natural tooth structure will need to be removed to accommodate them, which makes the service essentially permanent. Lumineers are an alternative that provides similar, dazzling results while keeping any alterations at an absolute minimum, which means patients could return to their natural smile in the future if they choose to. During your initial appointment, our doctors can help you decide whether traditional porcelain veneers or Lumineers are the right choice for your personal goals! If you have a minor dental flaw, such as a chip, small gap, or misshapen tooth structure, direct bonding is an effective and affordable solution that can create the improvements you need fast. The procedure is simple – one of our doctors will carefully apply the tooth-colored composite resin material and contour it into a lifelike and aesthetically pleasing addition that blends right in with your natural enamel. This process should only take a single appointment in most cases, and the improvements can last for several years. With teeth whitening, patients can finally get rid of frustrating dental stains and discoloration that have left their smile looking lackluster! For busy schedules, in-office whitening is a fast procedure that only takes one appointment and can dramatically brighten your enamel by several shades. If you’d prefer more gradual improvements, our doctors can also provide customized take-home kits that are flexible and effective over the course of a few weeks. Making a commitment to transform your smile with cosmetic dentistry can be nerve-wracking – what if the results don’t turn out like you had in mind? Thankfully, our team can give you a glimpse into the future with the help of our virtual smile design technology. All we’ll need is a photograph of you that shows off your teeth; our doctors can digitally manipulate the image to reveal the appearance of certain treatment options, whether you’re interested in porcelain veneers, teeth whitening, or direct bonding. We want you to feel fully confident when pursuing a smile makeover plan at Dental Center of Jacksonville!